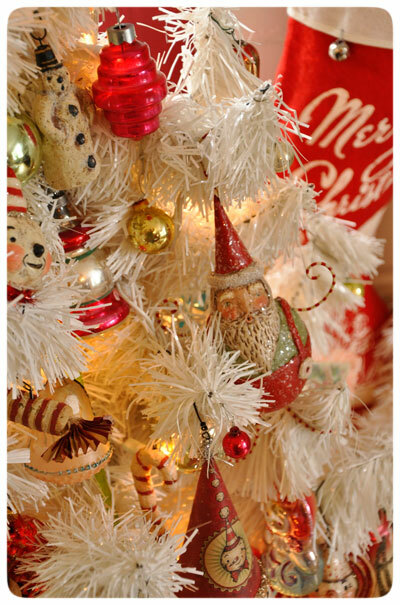 * Various ornaments dangle from our tree. 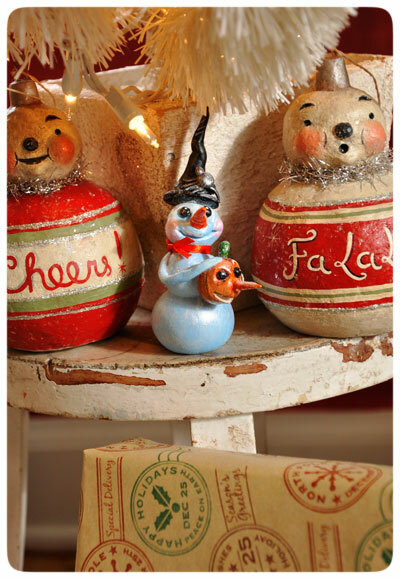 I spot a Primitives by Kathy snowman design of mine, and a Santa from my Bethany Lowe line.. How about you! 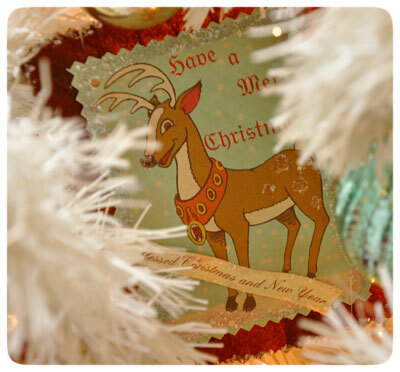 I also love collecting the vintage glass baubles, and for some reason, I can never have enough! 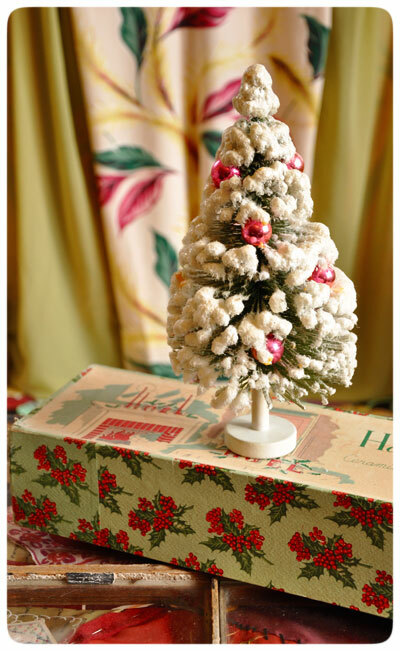 I love their rich, jewel-tone hues and simple patterns. 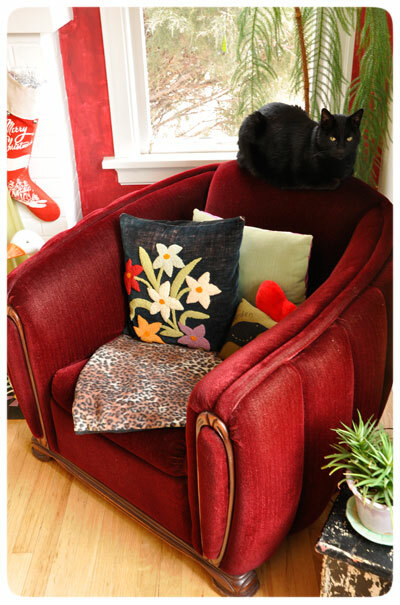 * And now I spot Jack roosting on the top of my most favorite red mohair chair! * What a surprise it was to receive a special delivery from my fellow artist and collector friend, Robert Brawley! 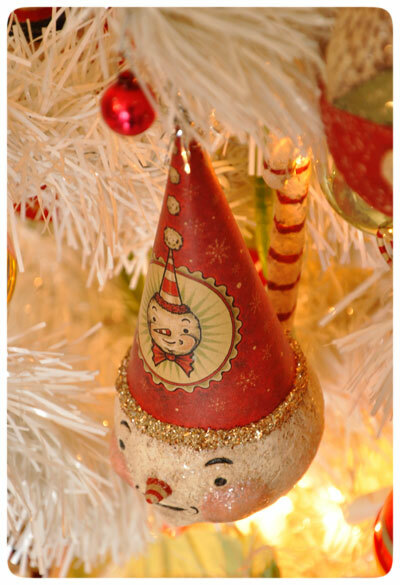 He created an original "Snow-Witch" just for me, and she is standing front and center under the tree amidst two of my reproduced snowbauble designs. 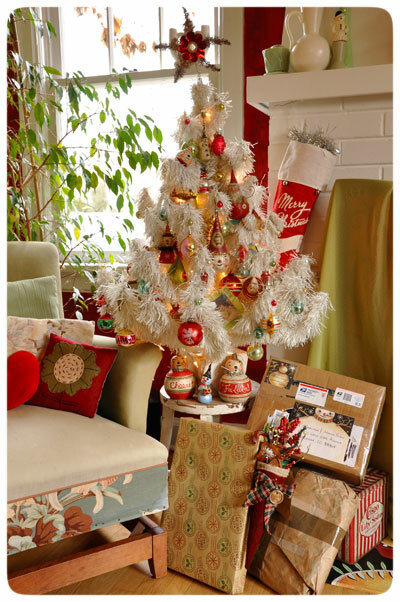 Thank you Robert - Love that Halloween/Christmas crossover theme! 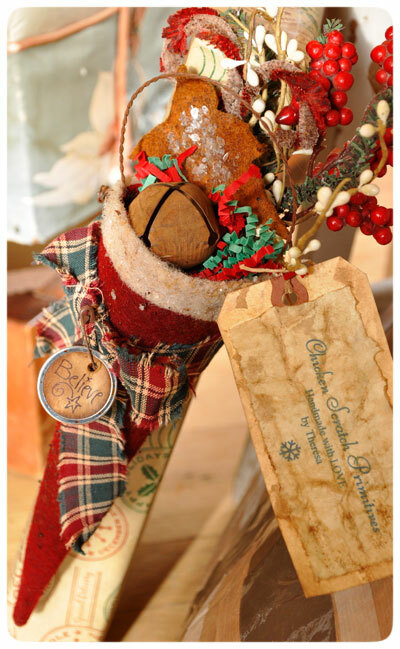 * Here hangs an original snowman ornament I made for last year's winter collection. He wears one of my illustrated party hats, and I am glad I saved one for myself as it's fun to see what whimsical goodies my imagination has dreamt up from one year to the next! 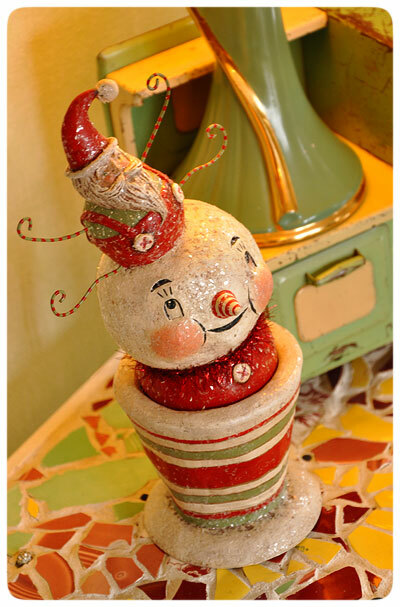 * And, lastly is an original snowman candy container from this year's collection! JP and I were smitten with his sweet face, the tiny bird on the tip top of his hat and those yummy hues. 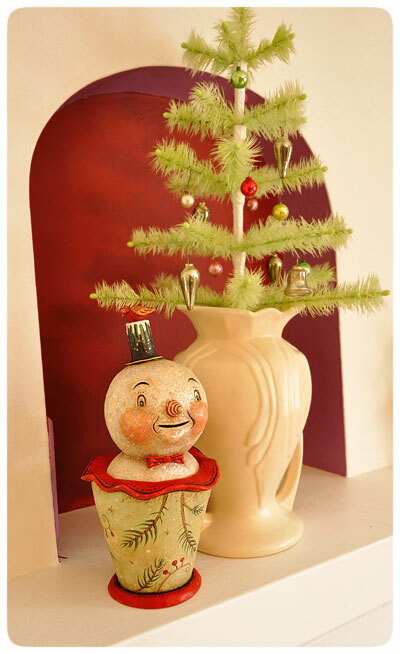 So, he's our gift to US, and he proudly stands on our mantel overlooking the festive ornaments below.